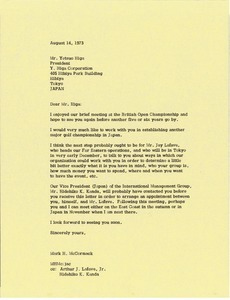 Japan - McCormack attaches the Japanese money list and stroke average list as of the beginning of the Suntory Open. 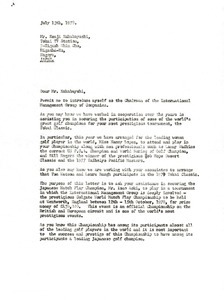 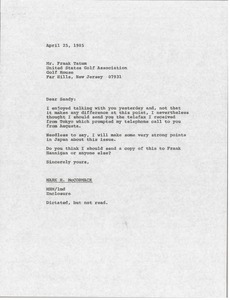 Japan - McCormack replies to MacKenzie's letter about McCormack's involvement with the British Open. 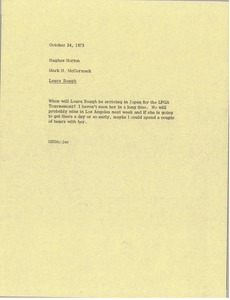 McCormack discusses specifics of what he has done that were or were not his "function." 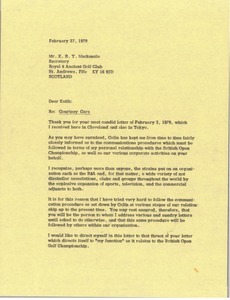 Japan - McCormack sets forth his feelings concerning proposed activities in Japan. 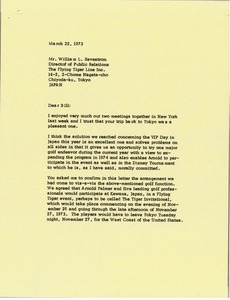 Generally speaking, McCormack feels that having an office in Japan is not paying off. 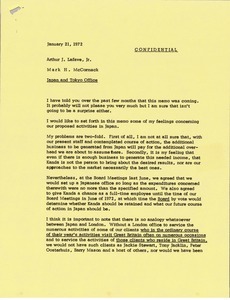 McCormack would like a memo with definitive goals on where he sees new business coming from in Japan during the next few years. 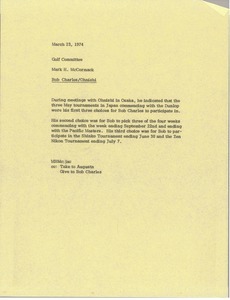 Japan - McCormack notes Ohnishi's preference of tournaments for Bob Charles in Japan. 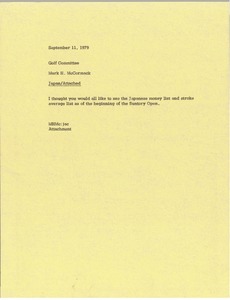 Japan - McCormack plans to make some strong points in Japan about the issue. 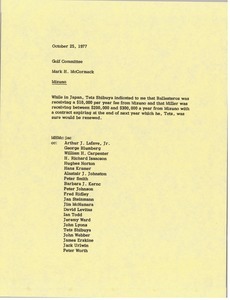 Japan - McCormack notes amounts received by Ballesteros and Miller from Mizouno as indicated by Tets Shibuya.